“You just hire the best people possible and let them go; there is not much you can do after that.” This is a perspective commonly voiced to me by administrators. 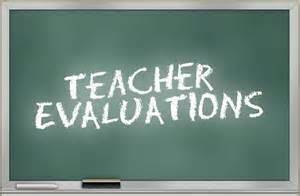 Truth be told, teacher evaluation is one of those areas that busy principals might prefer to avoid. And yet, as Christians, this is an area in which I believe specific Biblical principles certainly apply. 1. What we believe about humans as image-bearers is made manifest in our professional development/evaluation systems: if we say all children/people can learn, we should put in place systems of evaluation/professional growth processes that demonstrate that belief and promote growth. 2. How can we help each person reach his/her God-given potential? Administrators have tremendous authority to build up or break down those under their supervision. Are the policies and processes that are put in place for teacher supervision and evaluation focused toward bringing out the best in each person – seeing them as God sees them as redeemed and beautiful creatures? Do these processes, while seeking common good, give space for individual expression? 3. Do our evaluation systems/processes balance truth and grace? In the absence of truth there is no honest appraisal or motivation to stretch for one’s potential, in the absence of grace there is discouragement and unwillingness to try. 4. Some teachers need extra care – in particular those who are new and those struggling for whatever reasons. Jesus had compassion on those who were struggling and brought hope into their situations. 5. Standing in the gap for the good of the community (shepherding the whole flock) – in evaluating a single teacher, administrators must also take into account the needs of individual students, the class or classes, and the needs of the internal/external community when working with individual teachers. What is the effect of this teacher’s work on the body/the community. 6. Jesus got into the mess with us: he showed deep love and caring, a true desire to help others develop, and giving support. He also spoke truth to those who needed to hear it. Are we doing the same?